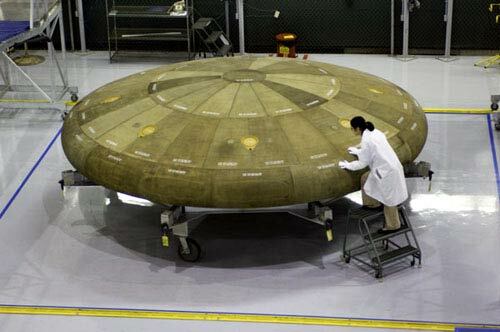 Is it true that NASA is secretly building a flying saucer spaceship? Or it this disinfo, generated to muddy the issue and confuse the sheeple? Or is it really just the (upside down) heat shield for the Orion capsule being built by Boeing so that humans can get into space and once again get to the Moon, then return safely to Earth? Tip o' the spacesuit visor to Damaris Sarria, who is becoming an astronaut.